Aileen has significant experience and expertise the development and delivery of accredited training in voluntary and commercial settings and in establishing consortia. Aileen combines significant senior level experience in both organisational management and project development with a proven ability to develop effective cross sector partnerships in the statutory and voluntary sectors. She has a thorough knowledge of accredited training provision and comprehensive experience of managing and delivering voluntary sector accredited training programmes. She is an OCN qualified internal moderator and has developed OCN and ASET accredited programmes in voluntary sector management and governance, and is a registered PQASSO Quality Assurance Mentor. She has worked extensively in the voluntary and housing sectors, in service delivery and management and in capacity-building umbrella organisations and consortia. Aileen brings commercial and entrepreneurial experience and skills to assignments. 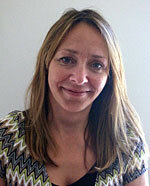 Aileen is an experienced consultant and trainer and Chartered Institute of Management Student Member. Please contact us for further information, or to discuss your specific requirements.